at first I thought the the other wing was spiked on the cats head, so I wondered why the angel cats were part dinosaur, and why we couldn't make the angel cats not half dinosaur. Then I realized it was the other wing and felt stupid. 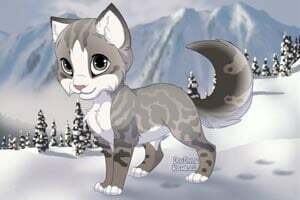 Thunderscream: I luv warrior cats! Check out the gallery pet playtime to find a new animal, Coffee spot! @merlinlover, really? I always thought it was Squirrelflight! OHMIGOSH! plz make this into a scene maker! PLZ!